Every big hotel brand has a points or rewards system. Whether it’s higher end stays such as the Four Seasons, mid-range chains like Hilton or more common joints such as Marriott or Raddison, each looks to encourage travel loyalty by offering free stays, shopping deals and other perks if they pick up enough points. There are scores of boutique hotels and smaller regional chains that can’t take part in such programs or are too small on their own to generate that same frequent travel appeal. Enter Stash – an independent rewards program that allows those small hotels to band together to share reward point offers. I found out about the service while in New Orleans. 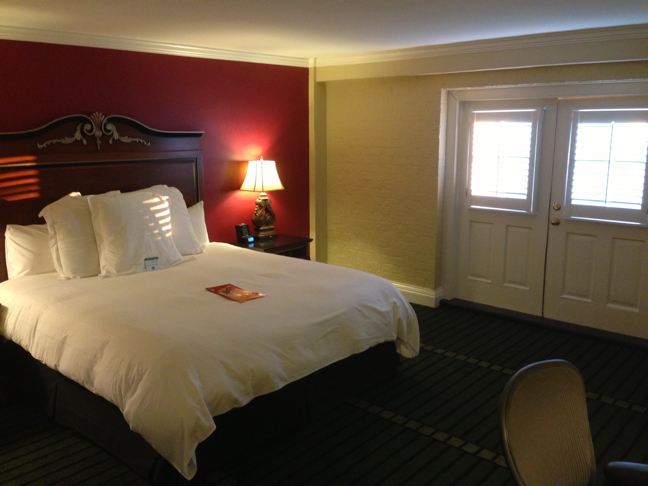 I stayed at the Crown Plaza New Orleans Airport. It’s part of the New Orleans Hotel Collection – a set of seven boutique venues throughout New Orleans. The Crown Plaza aspires to be a little more than the average, bland airport hotel by renovating its rooms and employing a more personable staff than you’ll find down the road. The Crown Plaza offers Stash as part of its guest services, as does every hotel in the New Orleans Hotel Collection. Stash unites more than 150 hotels in 100+ cities across the lower 48 states. Most are small, one off boutiques. Some are members of small or regional collections. Travelers looking to get away from the more sterile, big box hotels — tourists who look for something more quaint or a room with local flavor — can join stash for free and collect points with member hotels. Members earn 5 points per dollar on every eligible room rate. The plan lets you collect on two rooms in one reservation. And, in case of long term stays for business, the plan allows users to collect points for up to 29 nights in one stay.